*HOT! 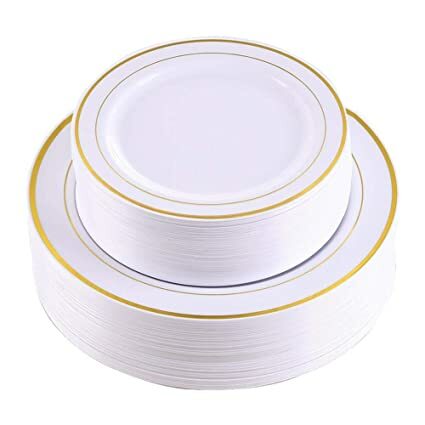 * Amazon – 60 Pieces White Silver or Gold Plastic Plates, Heavyweight Disposable Plates,Plastic Party Wedding Plates Includes 30 Dinner Plates 10.25 Inch and 30 Salad /Dessert Plates 7.5 Inch just $12.44 after 50% Code! PESACH! Another awesome PESACH deal for you! Thanks to M. Dancziger! 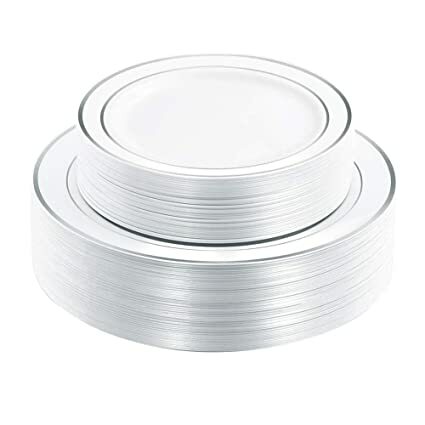 Amazon has the 60 Pieces White Silver Plastic Plates, Heavyweight Disposable Plates, Plastic Party Wedding Plates Includes 30 Dinner Plates 10.25 Inch and 30 Salad /Dessert Plates 7.5 Inch for $24.88 – $12.44 with promo code rsbs9ejh = just $12.44 with FREE Prime shipping or free shipping with $35 purchase!